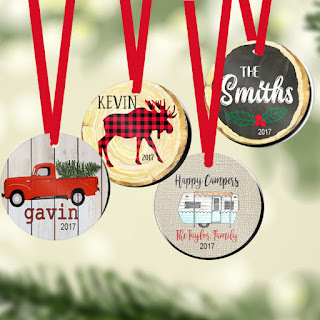 Right now get these Personalized Christmas Ornaments | Christmas in July $7.99 (Retail $14.99). Dress up your gifts or hang these custom made ornaments on the tree. I'm grabbing these now for my tree - because life is just to busy leading up to Christmas! $1.99 for the first item and $0.49 for each additional item. US only. Ships no later than Tue, Jul 24.